Design, Function & Durability… All so you can relax! The date on the calendar says warm temperatures will be here before we know it. That means now is the perfect time to start sprucing up your outdoor space. At Amish Originals, we pride ourselves on having just what you need for the inside and outside of your home. Our poly furniture is second-to-none in design, function and durability. Poly lumber furniture is made from recycled plastics, our stylish poly furniture represents our commitment to the environment by reducing our footprint and not filling landfills. It’s also easy-to-clean and weather-resistant… and we know that’s important, especially in Ohio! 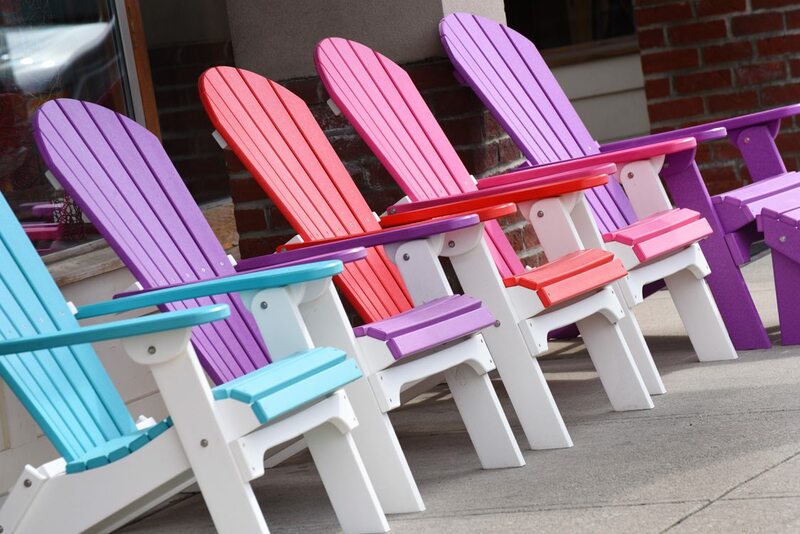 No matter if you’re searching for an outdoor leisure set, a peaceful bench or one of the these brightly colored Adirondack chairs—and nothing says, ‘sit back and relax’ like an Adirondack chair—Amish Originals Furniture Company has you covered. We will help you make the outside of your home as comfortable as the inside with our custom-made poly furniture. Come see what’s new this spring in our sprawling showroom in Uptown Westerville!